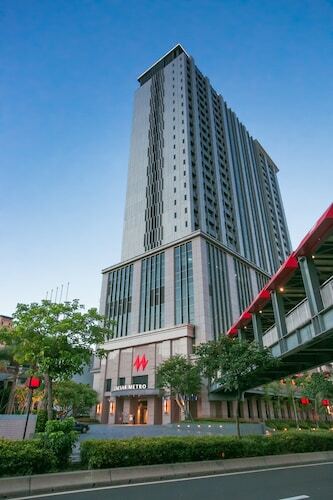 Located in Wanhua, this hotel is within 1 mile (2 km) of Huaxi Street Night Market, Lungshan Temple and Presidential Office Building. Chiang Kai-shek Memorial Hall and National Taiwan Museum are also within 2 miles (3 km). Taipei Wanhua Station is only a 2-minute walk and Longshan Temple Station is 6 minutes. 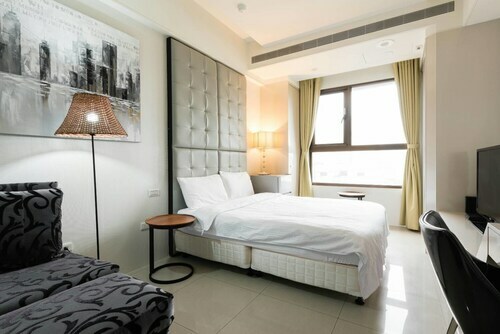 Located in Zhongzheng, this apartment building is within a 15-minute walk of Gongguan Night Market, National Taiwan University and Museum of Drinking Water. Treasure Hill and Shida Night Market are also within 1 mi (2 km). Gongguan Station is 5 minutes by foot and Taipower Building Station is 9 minutes. 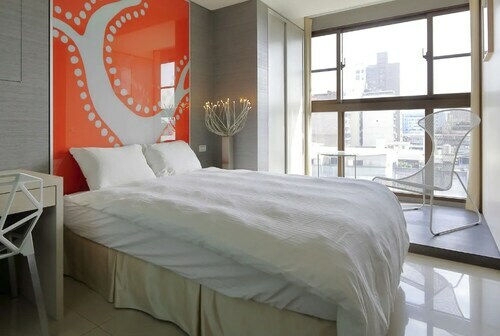 Located in Zhongzheng, this aparthotel is within 3 mi (5 km) of Chiang Kai-shek Memorial Hall, Lungshan Temple and Taipei 101. Huaxi Street Night Market and Sun Yat-Sen Memorial Hall are also within 3 mi (5 km). Gongguan Station is 5 minutes by foot and Taipower Building Station is 9 minutes. Located in Zhongzheng, this apartment building is within a 15-minute walk of Gongguan Night Market and National Taiwan University. Daan Forest Park and Shida Night Market are also within 1 mile (2 km). Gongguan Station is 6 minutes by foot and Taipower Building Station is 9 minutes. 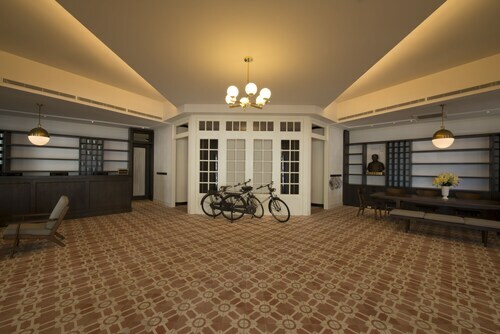 Located in Daan, this hotel is within a 15-minute walk of Gongguan Night Market and National Taiwan University. Shida Night Market and National Taiwan Normal University are also within 1 mile (2 km). 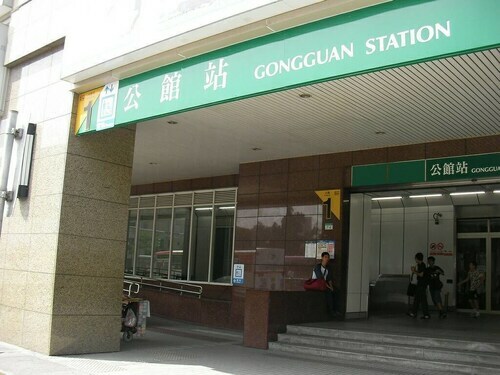 Gongguan Station and Wanlong Station are within a 5-minute walk. Located in Wenshan, this hostel is within a 10-minute walk of National Taiwan University of Science and Technology and Gongguan Night Market. National Taiwan University and Daan Forest Park are also within 2 miles (3 km). Gongguan Station is 8 minutes by foot and Wanlong Station is 9 minutes. 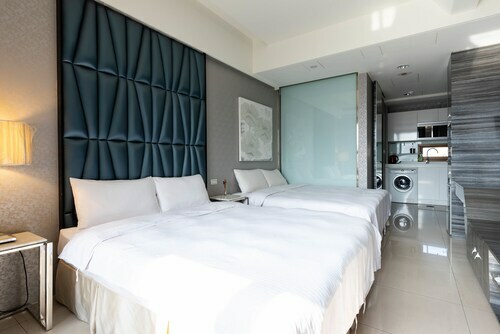 Located in Daan, this luxury hotel is within 1 mile (2 km) of Tong Hua Night Market, Daan Forest Park and National Taiwan University. Sun Yat-Sen Memorial Hall and Gongguan Night Market are also within 2 miles (3 km). Liuzhangli Station is 8 minutes by foot and Technology Building Station is 11 minutes. Located in Zhongzheng, this apartment building is within a 15-minute walk of Shida Night Market, Gongguan Night Market and National Taiwan University. National Taiwan Normal University and Yongkang Street are also within 15 minutes. Taipower Building Station is only a 2-minute walk and Gongguan Station is 12 minutes.